Welcome back everyone! Today I have some more swatches of my Femme Fatale Cosmetics collection to share with you all. For those who are unfamiliar with the brand, Femme Fatale is based out of Australia and is a supplier for various other indie companies. 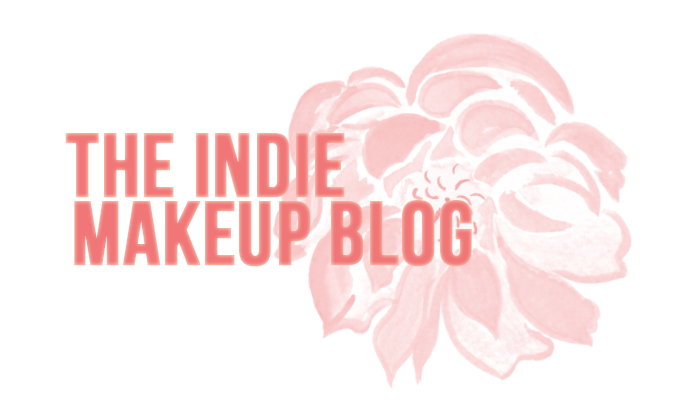 In addition to their eyeshadows, they also make some amazing polishes. 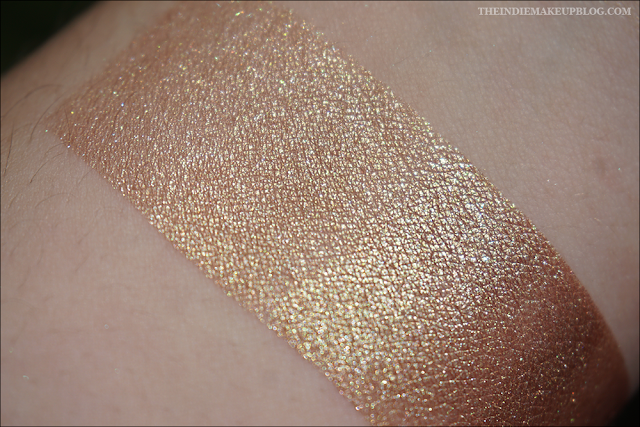 You can find my previous swatches here and here. This is the last batch of shadows left to be swatched but I plan on making an order in September for some new ones! All thoughts and opinions are my own. Photos were taken in direct light. For reference, my skin tone is slightly lighter than an NC15, fair with warm undertones. Please view my disclosure policy for more information. Swatches are done half on Urban Decay Primer Potion, half over Darling Girl Cosmetics Glitter Glue. Mood Ring (not vegan, lip safe) is a deep purple berry with a blue shift. 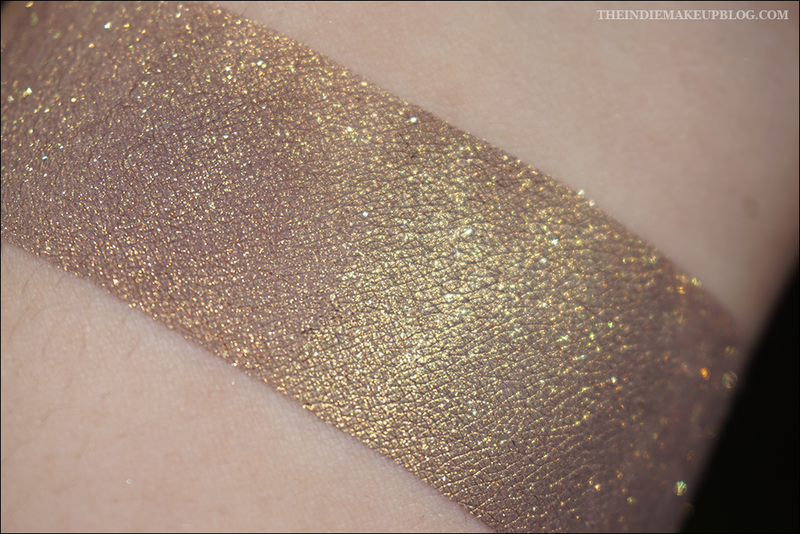 This shade is part of The Mysterious Fortune collection. This is the color that's made me rethink my stance on pink. It's really beautiful worn on the lid or blended in the crease. The deeper plum tones helps make it more wearable if you're afraid of pink. Alpine Skies (vegan, lip safe) is a taupey beige with a strong turquoise shift. 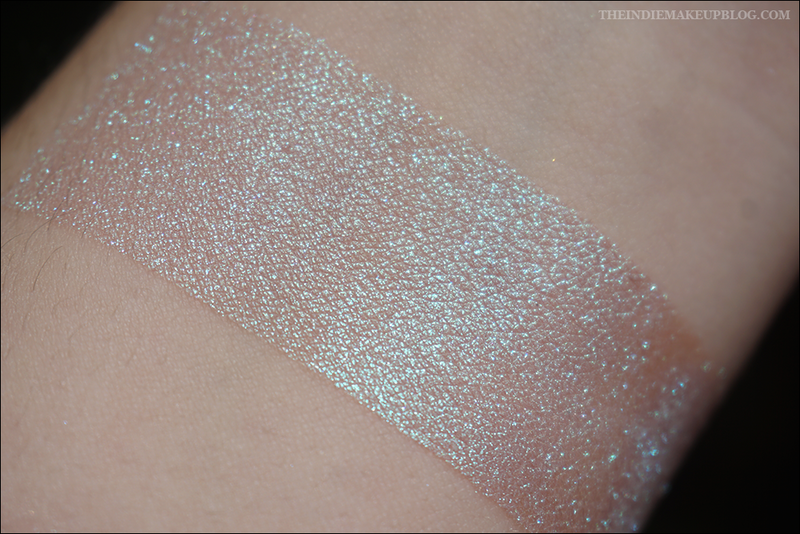 Alpine Skies is one of those ethereal-looking light shades that Femme Fatale is known for. This one reminds me a lot of Perspecto-Illusion but I suspect this one leans peachier. 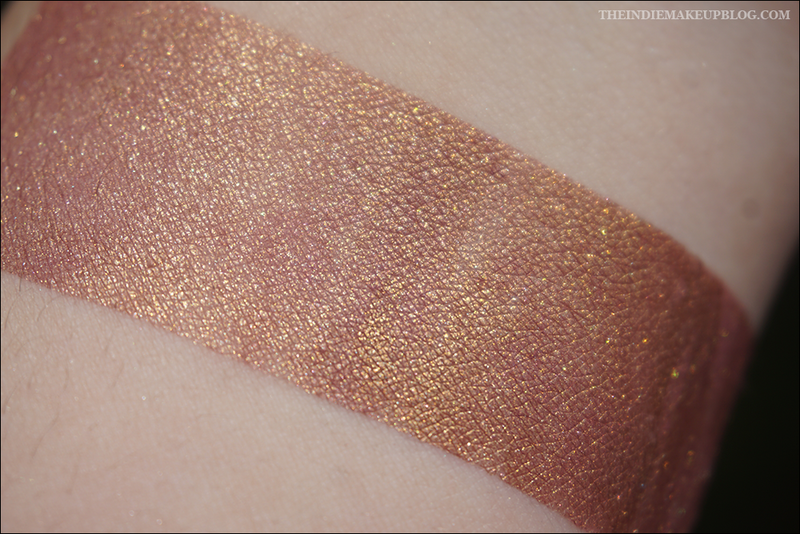 The Wayward Prince (vegan, lip-safe) is a mauve-rose base with a copper-gold overlay. We see a lot of purples with gold shimmer but I think this one stands apart from the rest since the shimmer is bronzey. This was originally a LE CoTM but was added to the catalog permanently because it was so popular. Choose Wisely (vegan, not lip-safe) is a champagne gold with a subtle olive green undertone. I couldn't get the green to show up in pictures but the effect is noticeable in person. This is one of my favorite golds as it doesn't lean too terribly warm. Goldwater Island is a taupey grey base with loads of gold and green shimmer. The cool base with the warm shimmer is an interesting juxtaposition but I like it. 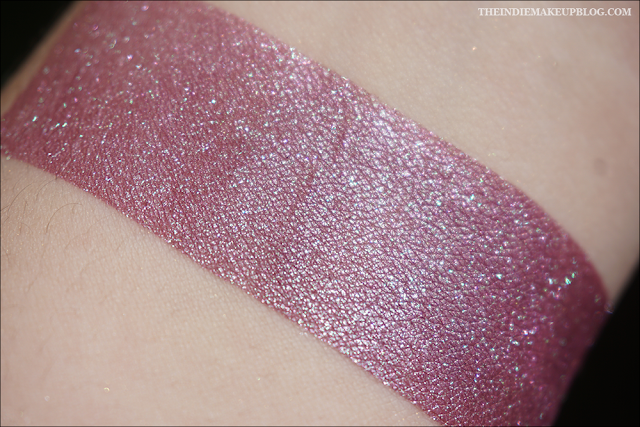 This shade was created as an exclusive for the Femme Fatale Facebook group and is unfortunately not available anymore. I have seen it pop up on makeup destashes though! 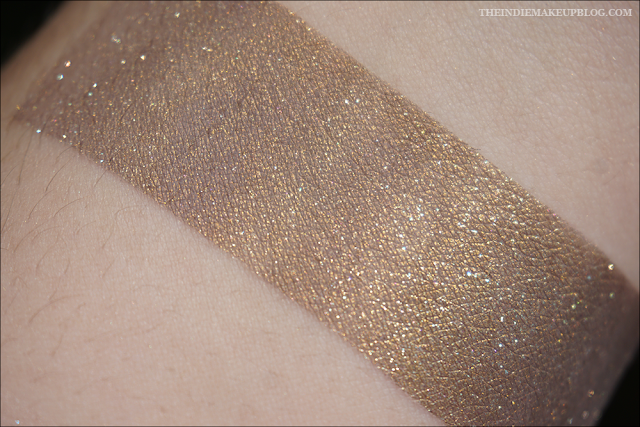 Straw To Gold is another shade with a taupey grey base but has a copper overlay and gold/silver shimmer. This one is less intense and bronzier than Glasswater Island but they're pretty similar overall so I'd say you don't need both. This shade was part of the Visage subscription box from Hello Waffle and is no longer available. I need Mood Ring and The Wayward Prince and Straw to Gold and I'm gonna have to search for Goldwater Island. That is gorgeous. Mood Ring seems like your kinda color! Goldwater Island is a stunner.